The number of cryptocurrencies supported by Coinbase Custody is very low. Coinbase Custody Rules comply with the regulations imposed by US lawmakers, The U.S. Securities and Exchange Commission (SEC), and the Financial Industry Regulatory Authority (FINRA). 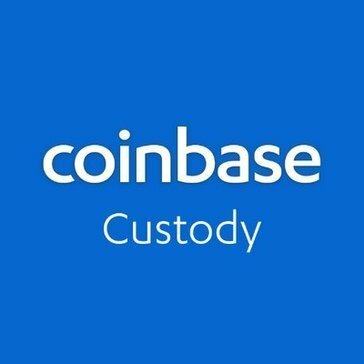 This means that European and American institutions can safely store their assets in Coinbase Custody. Try it, it may be good but it might not fit your needs. It allows to store institutionally grade investments into the crypto currency that insured if anything were to happen. The only thing that can be disliked about Coinbase Custody is the high fees. But other than that I’d highly recommend it to any institutional investor. The allowance of bigger institutions to invest into crypto currency as digital currency is looking to become more immersed. The entire coinbase platforms is streamlined for ease of use so it is easy to manage crypto investments. With tracking of prices, and easy accessible fund management the program leaves little to be desired. There is little to complain about for the Custpdy platform as it it very simple to use. Tracking and managing crypto currency investments effectively. * We monitor all Coinbase Custody reviews to prevent fraudulent reviews and keep review quality high. We do not post reviews by company employees or direct competitors. Validated reviews require the user to submit a screenshot of the product containing their user ID, in order to verify a user is an actual user of the product. Hi there! Are you looking to implement a solution like Coinbase Custody?